Awesome! Awesome! Awesome! stuff by Arsenal as we came back from a goal down to beat Barcelona at the Emirates. Goals by Van Persie, who scored from a very tight angle in the 78th minute and Arshavin, after a brilliant counter attack involving Nasri and Fabregas in the 83rd minute allowed us to finish the game on a high and take a slender lead in to the second leg. Earlier, David villa had given the lead to Barcelona after he was released by Messi in the 26th minute. However, despite Barcelona dominating the first half in possession and looking in control, we turned the match upside down in the second half. We were the better side in the second half as we stopped Barcelona from playing. We looked solid at the back, composed in the middle, and creative up front. It was the complete opposite of the first half where we had dominated the proceedings in the opening minutes. In the first, after Barcelona took the lead, they didn’t give us any space and dictated the play. However, we showed great resolve and excellent work rate as we stopped Barcelona from scoring more goals. Add to that some brilliant saves by Szczesny. And this is where this win is remarkable and all the more sweeter. We won the match by playing better than them in the second half. It wasn’t that they had an off day and weren’t playing good. We kept our focus and we beat them at their own game and we never looked intimated. An excellent result and this had further increased my belief that this season we are going to change everything. Hats off to the team for an excellent display of football and an awesome result. The second tie can wait for now as we savor this moment. Tonight we face Barcelona in the Champions League round of 16’s first leg at the Emirates. Last time we were beaten convincingly by them over two legs but not before giving them a scare by coming back from two nil down to lead three goals to two. 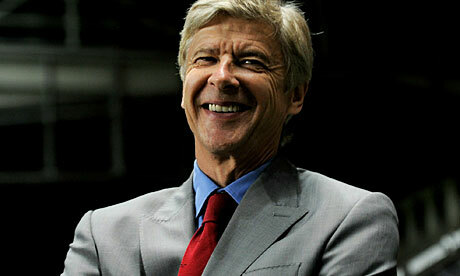 Arsene Wenger, on Tuesday, gave the latest injury news ahead of todays match in his pre-match press conference. Speaking to Arsenal TV online, Wenger confirmed the good news that Nasri is fit and back in the squad for tonight. Wenger went onto add that how it is good to have him back after recovering quicker than expected, but won’t take unnecessary risks with Nasri when deciding the team on Wednesday. Wenger also revealed that Diaby is still out with a calf problem which he got while on duty with the French team. Rosicky, on the other hand, has recovered and is included in the squad. The rest of the squad is going to remain the same as it was at the weekend. However, Sagna will not be included as he is suspended. “Samir is in the squad. But the starting line-up will be decided tomorrow. He’s recovered quicker than expected. I said it will be 21 days but it will be only 17 days. Everybody’s absolutely adamant that he’s completely medically available. It’s down to me to make the decision. I will take no medical risk but it’s good to have him in the squad. Well, this is it! The match that we all have been waiting anxiously for the past two months is finally upon us. Barcelona, labeled by many as the best football team, gives us a visit at the Emirates tonight. Now many have already sidelined us and yes we are the underdogs but believe me, we show our best when we are underdogs (remember Real Madrid and AC Milan). No doubt Barcelona is playing the best football but so are we. We have our weaknesses but so do them and if we play to our strengths Barcelona will never know what hit them. And the way we have been playing, I have no doubt that we will give them a lesson in football and we have more than enough quality to do that. Coming to the starting eleven, Wenger for sure is going to put out the best team available. Szczesny for sure is going to start and the backline will remain the same as at the weekend with only Eboue coming in for Sagna who is suspended. In the middle we will see Cesc, Song and Wilshere and upfront Arshavin, Van Persie and Walcott will take their places. Nasri is fit and in the squad for tonight but what Wenger said yesterday, it is more than evident he won’t risk him. Last time we had risked Fabregas and Galas and it backfired very badly as we missed them for rest of that season. And also even without Nasri, we have enough players to give Barcelona a hard time. I won’t go into the tactics. We know Barcelona is very good in possession and they also press very well as a team. They play football how it should be played but so do we. We know we have to give them no time on the ball, we know we have to give them no space, we know we have to keep possession, we know we have to press as a team, we know we have to defend as a team and we know we have to score goals. And we all know that if we play the way we have played the last few weeks, Chelsea, Birmingham, Wolves, to name a few , we will kill Barcelona, and that is what I expect today. It isn’t an easy task but achievable. However, I am not that concerned with the result of this tie as I consider Champions League to be a bonus. This is a no pressure game as there is nothing to lose but everything to be gained. We can beat them yes but if we don’t succeed there will be no regrets. We are in more than a good position to get a domestic treble and for me that is more of an achievement. Whatever the result, I will be behind this team and for me Arsenal is the best team in world. This is how we as fans can make an impact and it is my request to everyone going to the Emirates tonight, to sing this at the loudest. Have a great day and enjoy the match from where ever you are watching. Tonight Barcelona will be the spectators! !